It has been over a year since I contacted you last, and what a long journey I have been on. First I want to express my profound gratitude AGAIN for your Blog, and all you do to serve us. Thank YOU!!!!!!!! I am so very grateful for your Blog, I honestly think it's the only thing that has kept me going at various times over this last year. Dr Blake's comment: Thank you. I am so glad it has helped. We are all in this together in many ways. I had to stop working over a year ago, I received SDI for a year ($1100 a month, yikes), and now I have no income. I have wanted to see you and called your office to find out the cost, but the cost out of pocket is so high, it just has not been possible for me. Do you ever work with people on a sliding scale? I would really appreciate your feedback about what someone in "my shoes' (grin, gotta keep a sense of humor!) options are around receiving your guidance. And if you don't offer any sliding scale options - do you think you can make a difference in my treatment plan that would make it worth the cost for me, period - to see you? Or not really at this point? Dr Blake's comment: All my self pay fees are extremely low, but I work in a hospital which has facility fees. For the initial visit, between me and the hospital you are looking at $250. You should call Mr Jim Houser, CEO of Saint Francis Memorial Hospital. Ask him if you can apply for pro bono or sliding scale, and I would honor that, for a one time consultation. Please let me know your thoughts. In the meantime I would be so very VERY grateful for any guidance you might offer about how best to proceed and receive support from a podiatrist, etc in my process now. This is a lot of info I know, I have poured my heart and soul into this email. ****Important to note - I worked 2 times a week on my feet for many hours taking care of a disabled woman for a few days after I injured myself on March 2012, until I could no longer bear weight, walk or drive at all June 5, 2013. ****Also important to note, I was an extreme vegan for 13 years, and a year after I injured myself I got blood tests and found out I was EXTREMELY low in vitamin D (a level 6) and I began taking vitamin D and slowly reintroduced meat into my diet, which I eat on a daily basis now. My vitamin D is now 75 - from my diet alone (I stopped taking the vitamin D oil supplement). Dr Blake's comment: With the normal being 32-87, it is good you are back in normal ranges, but your bones will need a lot of time to regain your strength. You definitely need a bone density test so that we can get a feel of where you stand now. ****I am a generally very health woman - 43 years old. I have always prioritized my health. Now of course I am very atrophied from almost 3 years of being so limited in regard to my mobility from this injury. March 2012 - I whacked my right foot on the bathtub while showering, and hurt my toe next to the pinky toe. It was a sideways impact. 3 weeks later - I whacked the same toe on my metal bed frame. After that I got x-rays - they determined it to be a sprain. No sign of any break. Podiatrist showed me how to buddy tape. July 9, 2012 - the toe still did not look right and hurt more than it seemed it should, I went and got more x-rays, and the tip bone had become dis-located, which it was not when I received the previous x-rays. The podiatrist manually put the bone back into place and made me a little splint to wear. Dr Blake's comment: So, you probably originally did not break, but sprained the joint 3rd degree. 3rd degree is a complete tear and should not be walked on. It is rare in this location, so easily missed. If you walk on a 3rd degree sprain of the toe, the bone could dislocate, which I guess it did. Splinting and taping is too weak a treatment for the toe to properly heal. Removable boots, post op shoes, can be made with accommodations to off weight the area enough to allow healing. The pain continued in the tip joint of that toe, and then the joint at the base of the toe at the head of the metatarsal bone began hurting. More and more. Dr Blake's comment: I am sure you continued to sprain the joint walking on it daily. Many patients need this surgically fixed. January 2013 - I got an MRI - the report said nothing distinctive. The pain continued. This whole time it hurt to bear weight, and it also hurt when I was off my feet. Dr Blake's comment: The sprain is too far from the injury so some healing, even incomplete healing, can mess up what the MRI says. Also, MRIs on such a little area is close to impossible to read correctly. Too small, too close to the skin for artifact. Physical examination of the injured area seems better. Chronic pain, even if mechanical and inflammatory at first, can cause neuropathic pain to set in. May 2013 - I began doing stationary biking to get blood flow in my feet, and the pain had gotten better enough to do this. However, I did a little walk barefoot at the gym and went up on my toes barefoot as I walked, which did not hurt at all at the time, but later that night I was in a LOT of pain and that walk on my toes was the only thing I had done differently. June 5, 2013 - I put my foot on the floor to get out of bed and experienced sharp pain. That was the end of my walking. Got more x-rays immediately - they showed nothing. About a week later - a Podiatrist gave me a cortisone shot - 1cc total of 0.5cc of 0.5% Marcaine plain and 0.5cc of kenalog 40. June 24, 2013 - got another MRI (non-contrast) later in June - this time the report said: The insertions of the second, third and fourth plantar plates appear degenerated with minor splitting and frayed appearance. I am including a copy of that report. - considering that I wonder if the cortisone shot was a terrible decision? Dr Blake's comment: Hopefully not. Did it help with your pain? Where was it injected? Why Kenalog 40 for feet? Most patients over 40 have some plantar plate irregularities, typically no big deal, part of the aging process, and not part of your injury. Definitely know that osteopenia can cause peripheral nerve symptoms which can be painful, numb, or combination. July 23, 2013 - got PRP and prolozone therapy (Dr. Monagle did a combo of the 2 in the same treatment). Dr Blake's comment: What are those treatments trying to accomplish? 2013 - Got 2 more MRI's in 2013 - both saying little to no change. Dr Blake's comment: Little to no change in what?? In normal?? Have seen MANY podiatrists, they disagree about what is going on. I have never had a clear diagnosis. I basically spent a year unable to walk, in a wheel chair and crutches. Bearing weight in a boot would start causing sharp bad pain. The pain was so intense I could not have a sheet on my toe, I had to sleep with my foot hanging off the bed. Dr Blake's comment: CRPS or not, this is neuropathic pain, not inflammatory or mechanical. You have so far indicated no normal treatment for neuropathic pain----compounding creams, oral meds, local blocks without cortisone, sympathetic blocks, heat, pain free massage, biofeedback, meditation, etc. Dr Blake's comment: You so need to walk to build muscle and bone strength. I am so happy you stumbled onto a way to achieve Protected Weight Bearing with a pain level between 0-2. My injured toe is discolored - kind of reddish - for years now since I injured it. What does that indicate? My whole foot is still slightly red, but much less red than it was even a few months ago. Could this indicate CRPS? Dr Blake's comment: This is the vaso motor insufficiency associated with a sympathetic nervous system in stress. It does not mean CRPS, but it could be, and it typically points to a neuropathic pain syndrome. SO - how do I proceed now to HEAL - and not injure myself further? How can a podiatrist help me now? What questions should I be asking Podiatrist Dr Eric Fuller? 1. It has been a year since I had the last MRI, should I push for another MRI? What kind would you recommend I get? What size slices, is non contrast ok? Would the results of the MRI possibly cause any change to the way I am treating this injury? On medi-cal it is VERY hard to get an MRI - and if I can tell Dr. Eric Fuller that it might change our treatment plan then he might be able to make an effective case for me getting an MRI. What do you think? Dr Blake's comment: So far, MRIs have not helped you. A CT scan to just look at the bones would be great, but a referral to a pain management doc who deals with neuropathic pain is a must. Have Dr Fuller help you with various ways to have protected weight bearing, so you can rotate the stresses during the day. 2. Do you find that is someone has partially torn their 4th toe plantar plate, that it may take years for that joint to get stronger, and that often with time people can eventually bear weight without bracing and without pain? Or? I am trying to figure out what to expect. You said in your Plantar Plate Tear post to the pregnant woman "You will be wearing the Budin splint while you strengthen the area for 2 years. Some of my patients run marathons in these splints. "What exactly is strengthening in those 2 years? The actual plantar plate tissue and/or? You also told her "As the pain calms down, and you get into more normal shoes, if the Budin splint is not enough protection, then you need to experiment with Hapad Longitudinal Medial Arch Pads." - again, how do I know if I need to add pads in addition to the Correct Toes? Which leads me to my next question. Dr Blake's comment: Dr Fuller can help you with this part of protected weight bearing. Getting a splint or tape to stabilize the involved joint (I am still unclear which one) is great, and off weighting the area with Hapads, etc. is crucial. It is so important to walk to build strength, even if your injured area is 5 feet off the ground with padding. You are strengthening the long flexors to the toes and the foot intrinsics. You want the muscles that pull the toe down to be much stronger than the muscles that pull the toes up. Typically you start with metatarsal doming exercises three times daily. 3. In order to walk with less pain I can only walk with the correct toes bracing the injured joints. Dr Blake's comment: I will have to look at the links later. Thank you. Have Dr Fuller help you with padding issues to create the same relief that you get with the Correct toes. 4. 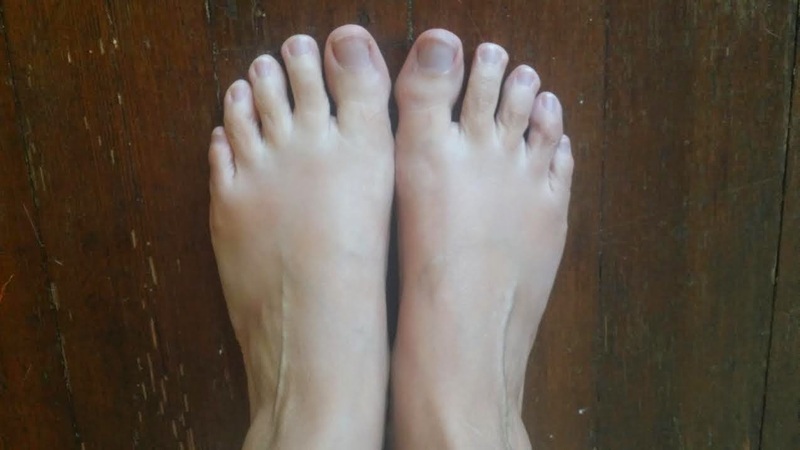 Would you recommend I do Metatarsal Doming Exercises based on what I have shared with you, or do you need more info to be able to give that feedback? Dr Blake's comment: Definitely doing met doming is crucial for plantar plate problems if that is what you have, but it can not be painful to perform. Ask Dr Fuller if that is the correct exercise for you to do based on what he thinks you have. Any exercises can irritate a sore area, and when there is probably so neuropathic pain involved, it is even trickier to do. 5. How do I choose my rehab help, so many people have led me astray. Is there criteria you would suggest I use to help me look for someone who can really help me rehab from this injury, without causing further harm to my body? Dr Blake's comment: Dr Fuller is fully versed in rehab of mechanical and inflammatory pain syndromes like most podiatrists and PTs, so that should be their role. A pain management specialist should help with the neuropathic part. "...if progressive deformity occurs despite solid advised treatment it could certainly lead to permanent cartilage loss of the joint (arthritic joint). The instability of the joint causes subluxation (partial dislocation) and the repetitive mismatch of joint surfaces over time can lead to full thickness cartilage loss when high point one side meets high point on the other side. The metatarsal head can deform or the patient can develop a crossover toe deformity, starts mild and can end up severe..."
Dr Blake's comment: When I rehab patients like this, typically you can get them out of pain with splints, etc. But, if the deformity continues to worsen, surgery is recommended to fix the deformity. So, we do not wait for all the above to happen. The decision making is however slower than a snail's pace, since there is no pain, the patient waits a long time. Making a decision to have surgery, when you are in pain, is never completely rationale. Pain distorts the little objectivity we have on the situation. 7. How do joints regenerate, and how can I support mine in regenerating? I have searched and searched for information on this topic, what I have found is confusing to say the least, there is joint immobilization, joint mobilization, etc etc. And what stage am I in, what do I need NOW? Do you have any guidance for me in this area? Anything I can read, etc? Dr Blake's comment: I guess that is why you had the PRP and prozolone therapies. I really do not know if this is an issue for you. The CT scan made help if it shows joint displacement. But, would probably point to surgery if it did. 8. How do we - your general Blog audience - receive the answers to the questions you posed in the information you shared from the core of your 2 lectures at the California School of Podiatric Medicine at Samuel Merritt Universitty in Oakland California October 2014?You pose this question in that post about sprains "Second Degree--ligaments partially torn (some ecchymosis) Why do 2nd degree sprains hurt more than 3rd degree sprains at times? "I REALLY want to understand why 2nd degree sprains can hurt more than 3rd degree sprains at times? I consulted with a doctor (Dr. Runco - I included a quote from his website in question #6) who completely tore his plantar plate and healed up very quickly compared to me, with far less pain. This seems like a perfect example of what you were referring to. Dr Blake's comment: When you completely tear a structure, you get severe pain from tearing the nerves running through that structure, but then everything can calm down. When you partially tear a structure (Grade/Stage 2), the structure is very weak and the non torn part must try to function as whole. It can not, so the tissue strains and lets you know constantly that something is wrong. The torn part can scar in, which may be great, or may be very abnormal. So, between the weakness and the abnormal healing, a partial tear can be more painful in the long run than a complete tear. The complete tear does cause problems with instability, which can lead to chronic problems, so it is not better, just probably understood better by medicine. *******Is there ANYTHING I should be asking but have not?!!!! I am including a picture I took of my feet right now. They used to basically look identical. You can see the redness in the injured foot and the injured toe deformity. I am also including the MRI report from June 2013, and a pic of one slice from that MRI series. Thank you, thank you, THANK YOU Dr. Blake!!!!! I REALLY appreciate any feedback you can provide.